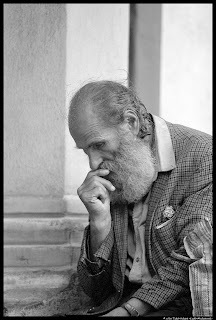 From Russia: An Expats Parable by Svetlana! A tired stranger comes to the old man, sits down near him and asks the old man: “Please, tell me about the town, what kind of people live here?” The old man then said “First, tell me about your place and from where you have come.” The stranger replied, “Really, nothing to tell – it was old, dirty and a boring town. People who lived there were evil and nasty, just quarrels and scandals every day.” “Well,”-said the old man – “It is sad to tell, but here you’ll find the same. A dirty, boring town and people here is not better than in place what you just left”. The stranger then sat a little bit with the old man, ate his breakfast then he left. 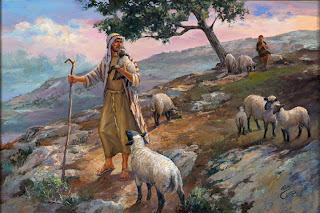 The sun started to go down and the shepherd his sheep to go back to the town, he stopped near the old man and asked him why he gave such different answers to these two strangers. “I did not lie to them.” Responded the old man.”The truth is that in each place that you visit you will find the same circumstances as the place you left. You will also find in this world, just who you are. Also that there is no way to find something different in the world. Till you change yourself. For you always bring your world with you”. But maybe, You will find it! Because when you just got this thought to go somewhere else, you may be already changed yourself. Then you can become a New Person. My best wishes for All!